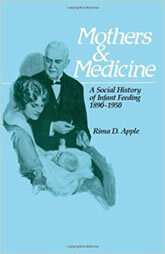 In the nineteenth century infants were commonly breast-fed; yet by the middle of the twentieth century, women typically bottle-fed their babies on the advice of their doctors. Rima D. Apple analyzes the complex interactions of science, medicine, economics, and culture that underlie this dramatic shift in infant-care practices. As infant feeding became the keystone of the emerging specialty of pediatrics, the manufacture of infant food became a lucrative industry. More and more mothers reported difficulty in nursing their babies. This book clarifies the complex and contradictory interaction between women and the medical profession in America.